Hippocrates of Cos (460 BC - 370 BC). 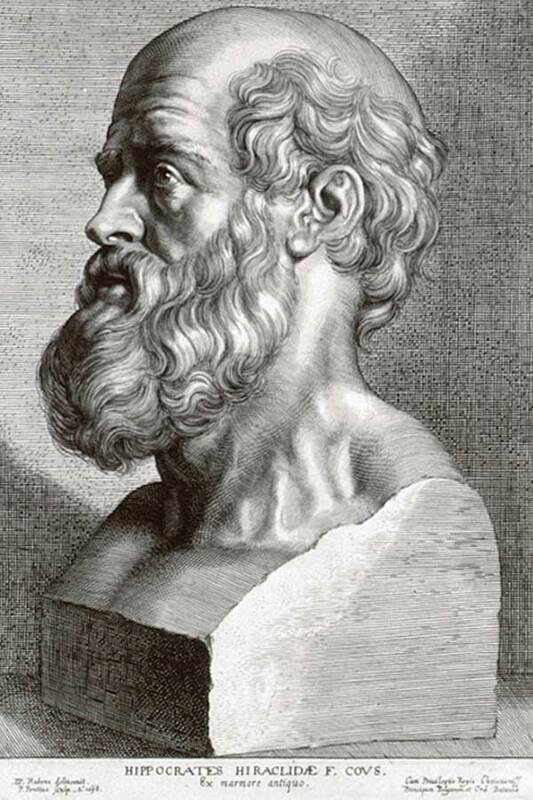 A Greek physician, Hippocrates was born on the Greek island of Cos (Kos) c. 460BC. Considered the "Father of Medicine" he removed Medicine from the realms of superstition and magic. He was the first to record medical writings and is considered the first one to use and maintain proper medical terminology. There are many writing attributed to Hippocrates, but there is no assurance that these were actually written by Hippocrates himself. Hippocrates changed the art of medical diagnosis by replacing supernatural precepts with observation-based methodology. Natural, rather than supernatural causes, would from here on explain all disease processes, what was known as Rational Medicine. He is known for having set the oath that governs medical principles, the Hippocratic Oath, although there are many authors that contend that this oath was written long time after he died. 2. "Hippocrates: father of medicine" Tan, S Y (01/01/2002). Singapore medical journal(0037-5675), 43(1), p.5.